When Hunting For Bigfoot, Look Up. Way up. - ParaNorthern - YOUR Stories of strange, unexplained and scary events. 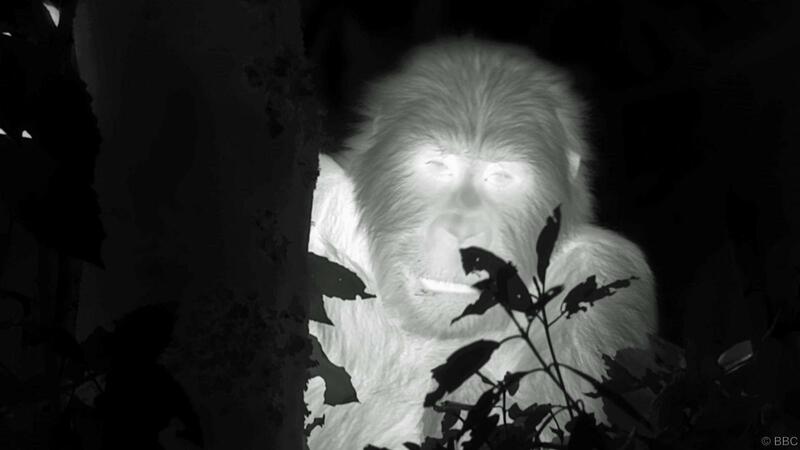 Eastern lowland gorillas have now been filmed on thermal cam at night building nests to sleep in up to 45 meters above ground. The BBC has developed a new series called Gorilla Family & Me. It features renowned nature film maker Gordon Buchanan as he travels to the Democratic Republic of Congo to film and interact with a family of Grauer's gorillas, also known as eastern lowland gorillas. They are the largest (known) primates on Earth. Wikipedia provides the following psychical description. "Eastern lowland gorillas are the largest subspecies of gorilla and the largest living primates. Males weigh 204–250 kilograms (450–551 lb), but exceptional males can weigh 272 kilograms (600 lb) or more. Females usually weigh half as much. Males have a standing height of 1.76–1.94 metres (5.8–6.4 ft) while females stand at 1.60 metres (5.2 ft) or less." I share this physical information to show that we are talking about large animals. Larger and heavier than most humans. 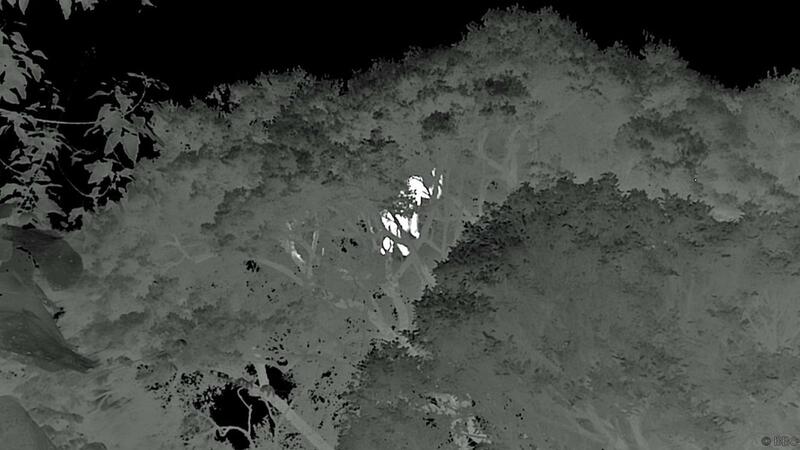 Click Here to watch this thermal cam video of gorillas building nests and sleeping in trees. This is a first for gorillas in the wild. Am I saying that this is proof that Bigfoot exists? Absolutely not. But it does give the theory of Sasquatch sleeping high up in trees a certain amount of validity. I've long said that if we can't study Bigfoot then we should look at the closest possible relatives. Maybe we should spend more time comparing apples to apples and less time discussing the natural cloaking abilities of animals that call out "Mike. Mike." and leave crayon drawings lying around. “To the best of my knowledge this is the first ever filming of gorillas at night, certainly using this kind of camera,” says primatologist and chairman of the Ape Alliance Dr Ian Redmond, a self-professed “gorilla-holic” who began his career as Dian Fossey’s research assistant and introduced Sir David Attenborough to gorillas in the 1970s. 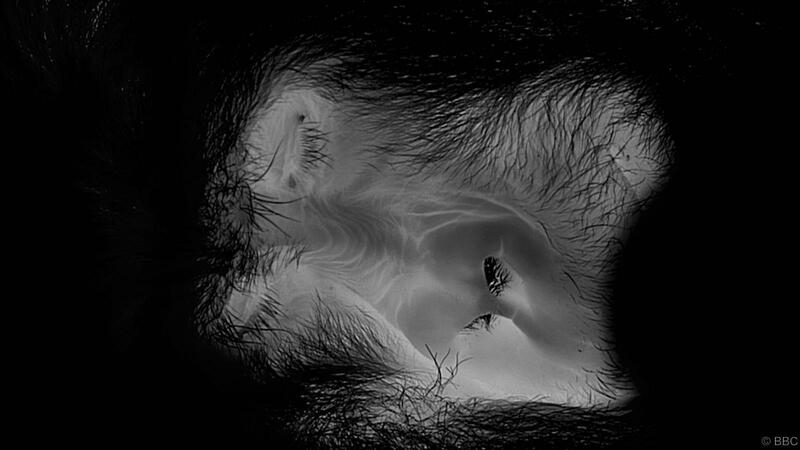 Photos from BBC.com's article Rare footage reveals gorillas’ treetop slumber antics.